Along with being an acclaimed director, Peter Bogdanovich (The Last Picture Show, Mask) has also made his mark as a movie historian and interviewer. His latest film The Great Buster: A Celebration, hits Blu-ray, DVD, and digital on April 2 via Cohen Film Collection. During his writing and interviewing career, Bogdanovich has released such seminal books as This Is Orson Welles and Who the Devil Made It: Conversations with Legendary Film Directors. 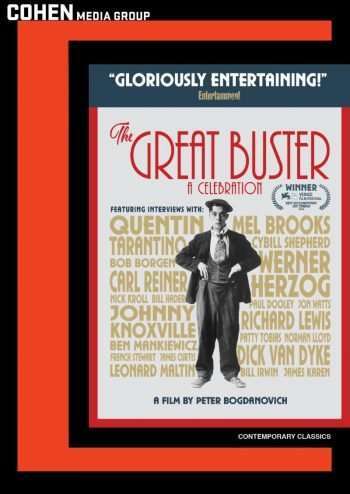 The Great Buster: A Celebration won the Best Documentary on Cinema prize at last year’s Venice Film Festival.